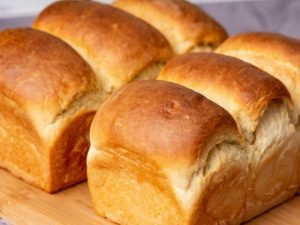 Tangzhong milk bread: the secret to make it fluffy and soft! A super soft milk bread loaf, easy and tasty in a few steps! Serve this amazing bread on the table! 1)In a pan, mix flour and water on low heat until thickened, set aside and let cool. 2)In a large bowl, mix flour, sugar, yeast, dry milk and salt. 3)Add milk, egg and water flour mixture. Mix well and add butter. 4)Let rise for 1 hour. Divide into 6 equal parts and let rise 15 minutes. 5)Add 3 dough parts to the bread baking form and let rise for 30 minutes. 6)Grease with milk and bake at 180C/350F for 25 minutes. 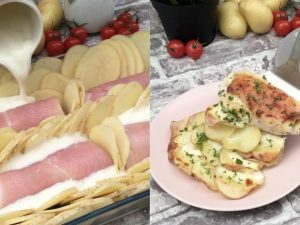 Rice loaf: a tasty and unique dinner idea!